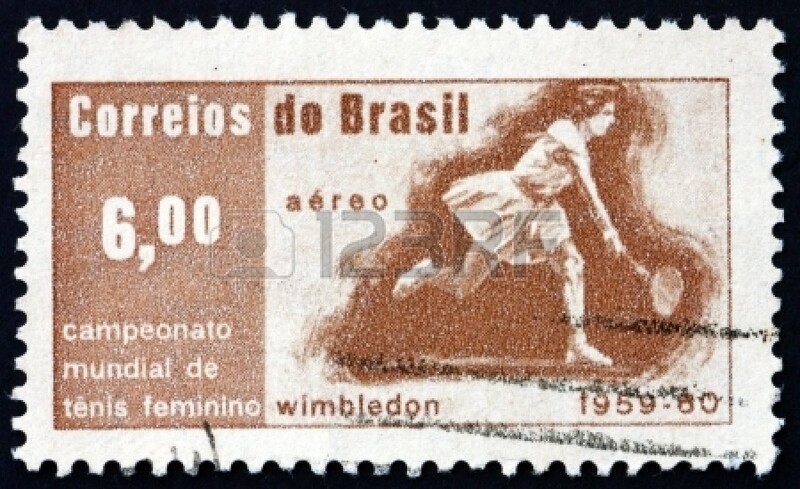 Maria Esther Bueno, the Tennis Ballerina, is a 7 times champion on the grass at Wimbledon [O Globo]. The Brazilian tennis player conquered the courts in the 1950s and 1960s; was the No 1 player in the world for four seasons in 1959, 1960, 1964 and 1966; and In 1978 she entered the International Tennis Hall of Fame. The only mistake Maria Esther Andion Bueno made was to have been born too early for there to be a good record of her wonderful style and her success on the tennis courts around the world, when the media still crawled. So there are only a few photos left, images worn by time, stories and memories. There were 7 singles titles in Grand Slam tournaments, 10 [actually 11] in doubles and 1 in mixed doubles, all won five decades ago. There was also the charismatic figure of the Tennis Ballerina, as the Brazilian was known, due to the elegant beauty of her movements. Maria Bueno, as she happened to be called in England, even shone on in the biggest stage of world-wide tennis: the famous grass of Wimbledon. There, she became champion seven times: 3 in singles (1959, 60 and 64) and 4 in doubles (1958, 60, 63 and 65). 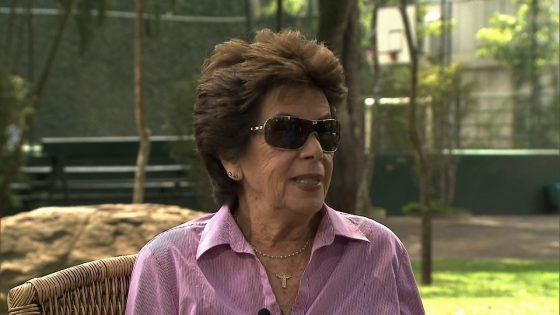 Thus GLOBO opened the story about the rise of Maria Esther Bueno, the greatest idol in Brazilian tennis before Gustavo Kuerten (‘Guga’), arrived at Olympus of the sport. The report, published on December 5, 1999, was signed by reporter Milton Alves. 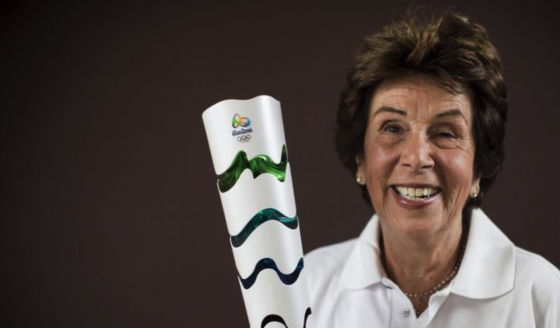 After winning her first major title in 1959, Maria Esther Bueno was received by crowds in Brazil, being honoured in Recife, Salvador, Rio de Janeiro and São Paulo. When arriving at the Galeão Airport, the tennis player followed in the helicopter that served to the Presidency of the Republic direct to the Palace Laranjeiras, in the South Zone of the River, then capital of the country, according to report of the GLOBO published in the edition of the 11 of July. At the time, President Juscelino Kubitschek received the young athlete with honours. The tennis player was awarded the Sports Merit Medal. After the homage of the President, she returned by helicopter to the Galleon, embarking for São Paulo. In the capital of São Paulo, she was paraded on the open cab of a Fire Department truck. Perhaps the secret of the Brazilian, who at 19 won Wimbledon for the first time, was the speed of her aggressive shots. In 1999, at the age of 60, Maria Esther still rewarded a few very privileged people with the possibility of seeing her play. 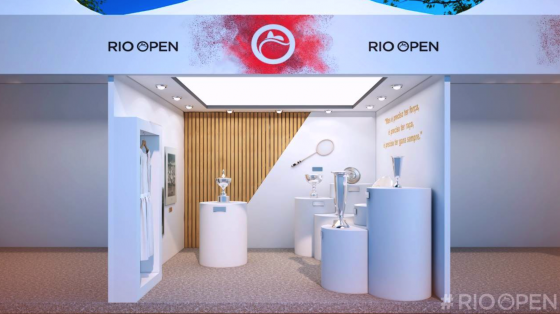 The main stage could not be any other: the Centre Court at Wimbledon, at the opening of the tournament, or on the exclusive Clube Harmonia, in São Paulo, where she spends most of her time in Brazil. “I guess it was just me training with men that the speed of my ball was too great. People commented that I made no effort to hit the ball,” said Estherzinha, as was known to the Brazilians, to the newspaper in 1999. The career of Maria Esther Bueno (the Andion came from the Spanish ancestry of the mother) began when she was still a child. Her father, the company manager Pedro Bueno, really dreamed to see his daughter studying ballet. Maria Esther never liked the idea and preferred swimming, in which she won several medals in the 50m freestyle, but her great passion has always been tennis. After not having more opponents in Brazil or South America, she opted to try a career abroad, something unimaginable for a teenager in the 50’s. With the support of her family, she left for the Caribbean and then for the United States and Europe. Perhaps that is why her deeds are most exalted outside of the country where she was born. She used to spend seven or eight months a year on trips giving clinics around the world, showing off her tennis and spreading her incredible charisma for the new generations. “The problem is that in Brazil everything is more immediate. One day, one football player is up there and the other is over. In England it does not have that. There, there is nothing but tradition. We do not pass the story on to the new generations. It’s fun, they call me a former tennis player. So what am I now?” She asked in the interview given in 1999. 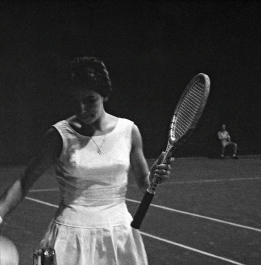 Maria Esther abandoned competitive tennis in 1967, a year before the tournaments began to pay cash prizes. After playing 120 games one day at Wimbledon, in singles, doubles and mixed doubles matches, she began to have problems with the tendons and ligaments in her right elbow. For her achievements Maria Esther received trophies, plaques, cashmere (a very fine and soft wool) and several other objects with only sentimental value. At the time when she played, amateurism was so much that she remembers an unthinkable fact these days: “At a tournament in Hamburg, I had a long semifinal and felt a foot problem. I could not even stand on the floor. The organisers asked me to play the final so as not to disappoint the audience. “I made a tremendous effort, I used a tape boot and threw it. As recognition, I received a teddy bear. “This was my thanks for exposing myself to an injury that could keep me out of my shoes forever, “said the tennis player, who in 1974, on her return to the courts, won $3,000 for the Japanese Open title. Maria Esther has no regrets about not having received much money and has already become accustomed to the large sums received by the tennis players of succeeding generations. She just does not accept the lack of creativity demonstrated by some players. “Today, only those who hit harder and for a longer time win. It’s very rare to see a drop, a lob. “Jana Novotna was the last to serve and volley well. “The Williams sisters have a powerful serve, but they have no variety. “Whoever sees two games, has seen everything. You can go out and come back three hours after everything will remain the same,” said the Brazilian tennis legend in 1999 with GLOBO. Sincerely, she praised and criticised the tranquility and propriety allowed only to super champions. For the Latin American Tennis Player of the Century, the problem of the lack of appearance of great Brazilian players is that, at the time, the country only received important male competitions. She believes that with a boost, some good tennis players may emerge. Professional titles: 62, with seven Grand Slam singles, ten doubles and one mixed doubles. Grand Slam in singles, won at Wimbledon (1959, 1960, 1964) and at the United States Open (1959, 1963, 1964 and 1966). In doubles: Wimbledon (1958, 1960, 1963 and 1965), United States Open (1960, 1962, 1966 and 1968); Australian Open (1960); Roland Garros (1960). In mixed doubles: Roland Garros (1960). First Grand Slam title: at Wimbledon in 1959, at age 19 and 266 days. Last international title: Japan Open (1974). Winning partnerships: In 1960 she completed the Grand Slam doubles, winning in Australia with Christine Truman, and in Wimbledon, Roland Garros and the United States Open, all in partnership with Darlene Hard. Tennis Hall of Fame: Inducted 1978. Personal records: Wimbledon (50 wins and nine losses); Australia (6 wins and 2 losses); France (33 wins and 10 losses); US Open (48 wins and 7 losses).